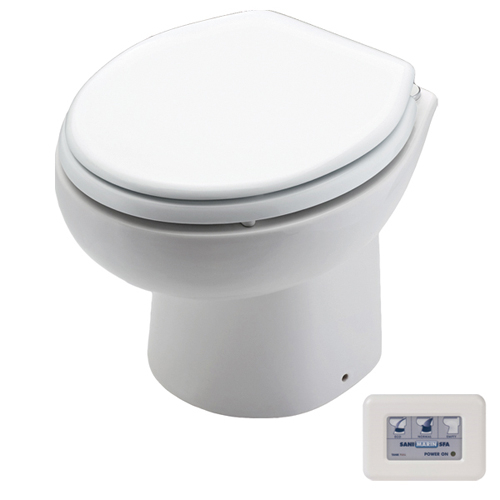 The Sanimarin 31C is the most compact marine toilet on the market. Thanks to its light weight and compact size it is easy to integrate in all areas and is an excellent replacement/upgrade from the manual pump toilets. With the multifunction control panel you will never have to pump again. Minimum pressure of supplied: 25 PSI (1.7 bar).